Traffic Revision in place for eastbound SR 16 drivers going to southbound I-5. Through June, drivers will merge left after Union Avenue to access SB I-5 using new HOV lanes. Learn more at TacomaTraffic.com. 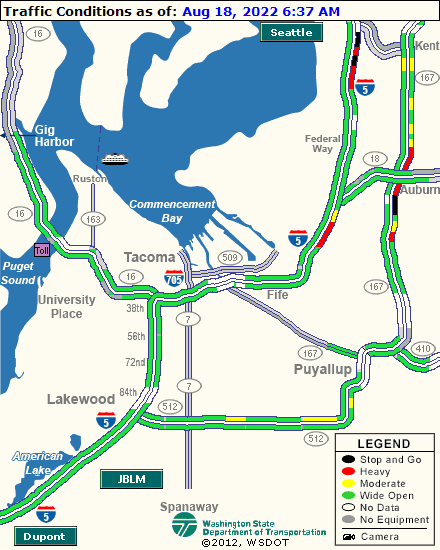 Follow @WSDOT_Tacoma on Twitter for real-time traffic impacts.